The American Crocodile Education Sanctuary (ACES) relocated an American crocodile named “Jaws” from San Pedro to his new home at ACES’s Crocodile Sanctuary in Sandhill on Wednesday, January 11th. Jaws was rescued by ACES in 2011, where it was discovered that his lower jaw had been broken and chopped by a machete when he was a juvenile. Despite Jaws being a healthy adult male, he is unable to survive in the wild due to his human-inflicted injury. According to an ACES statement, fixing his jaw would entail a risky surgery, which would likely not mend due to the crocodile’s strong bite force. Therefore, they made the decision that Jaws would need to remain in captivity. 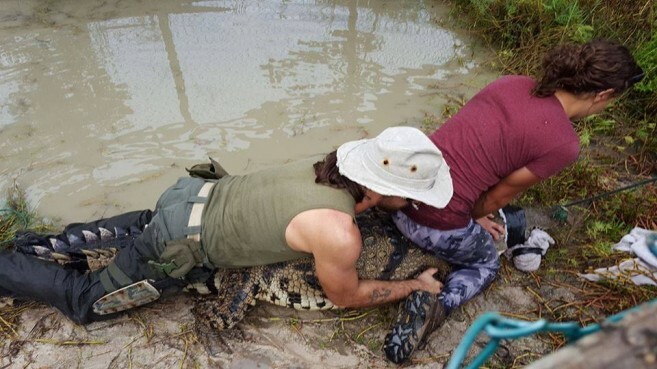 The relocation was led by Expert Crocodile Behaviorist and Co-Founder of ACES Vince Rose, and ACES’s assistant Crocodile Conservationist Chris Summers. On Wednesday afternoon, January 11th they both prepared Jaws for his journey and escorted him to the mainland. 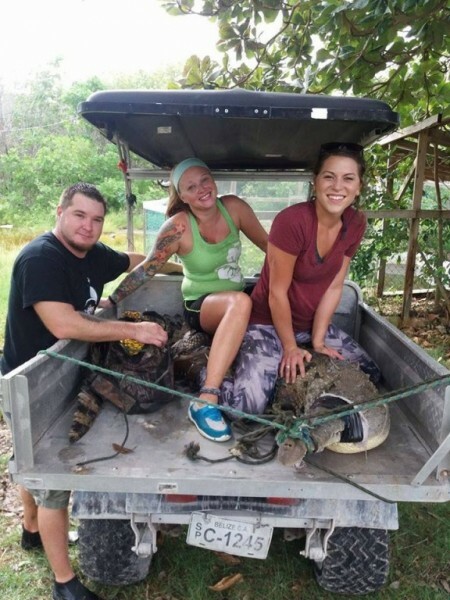 With boat transportation generously provided by Belize’s Quality Poultry Products Limited, Jaws was transported to ACES’s newest crocodile sanctuary located within David Gegg’s eco-attraction in Sandhill, The Rainforest Adventure Zone (RAZ). The Ministry of Agriculture, Fisheries, Forestry, the Environment and Sustainable Development (MAFFESD), who has a three year Memorandum of Understanding with ACES, along with the Ministry of Natural Resources, supports the relocation of Jaws. “This newly formed partnership between ACES and RAZ will institute an essential, educational, crocodile refuge at Mile 16 along the Phillip Goldson Highway for the short, medium, and long term protection of rescued Morelet’s and American crocodiles in Belize,” said a representative from the MAFFESD. Jaws had quite the island start. In 2013, Jaws was featured on the National Geographic’s episode profiling ACES’ crocodile conservation efforts in Belize. ACES thanks all those involved in “Your Help Takes a Bite Out of Extinction,” including those volunteers who have helped their organization over the years. In order to preserve wildlife for future generations, ACES is dedicated to the conservation of Belize’s critical wetland habitats and protected species through scientific research and education. ACES informs the public that American crocodiles are essential to the health of the world’s ecosystems, but their numbers are drastically declining in Belize. 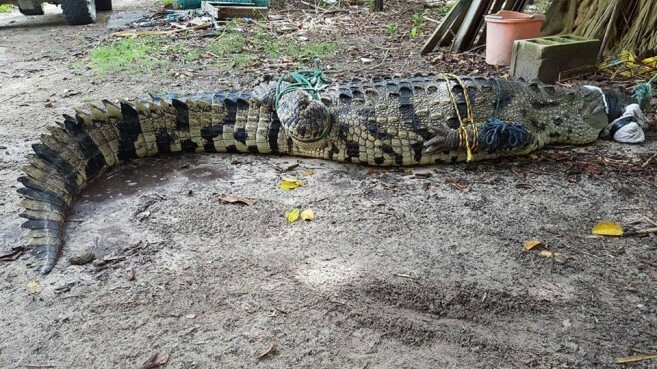 They remind the public that in accordance with the laws of Belize and the Forestry Department, it is illegal to kill, feed, capture, or disturb crocodiles. It is also illegal to sell their remains or crocodile products.